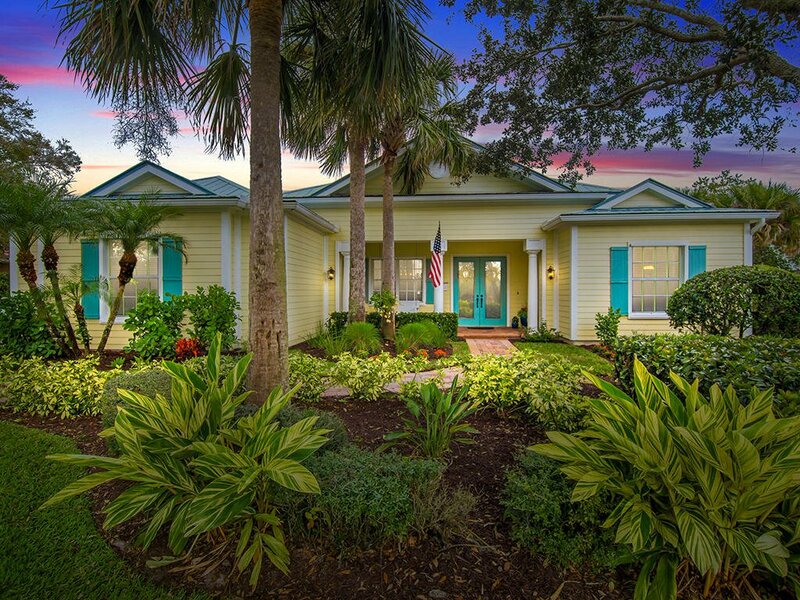 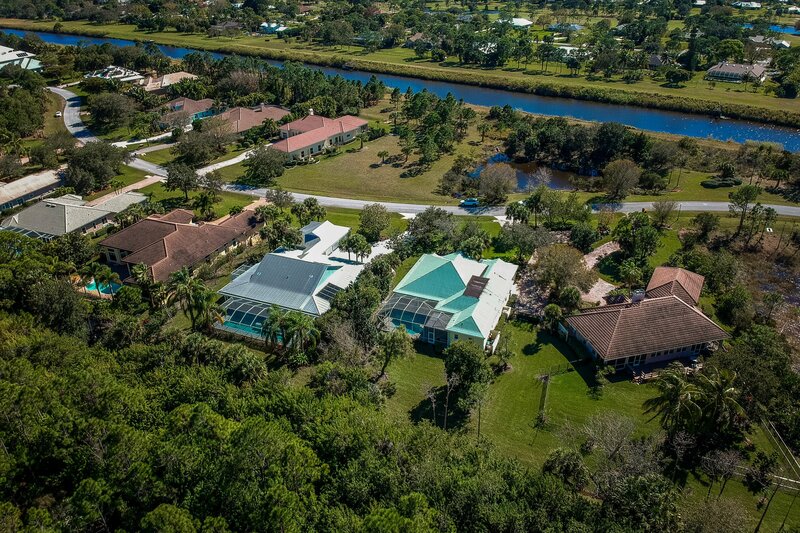 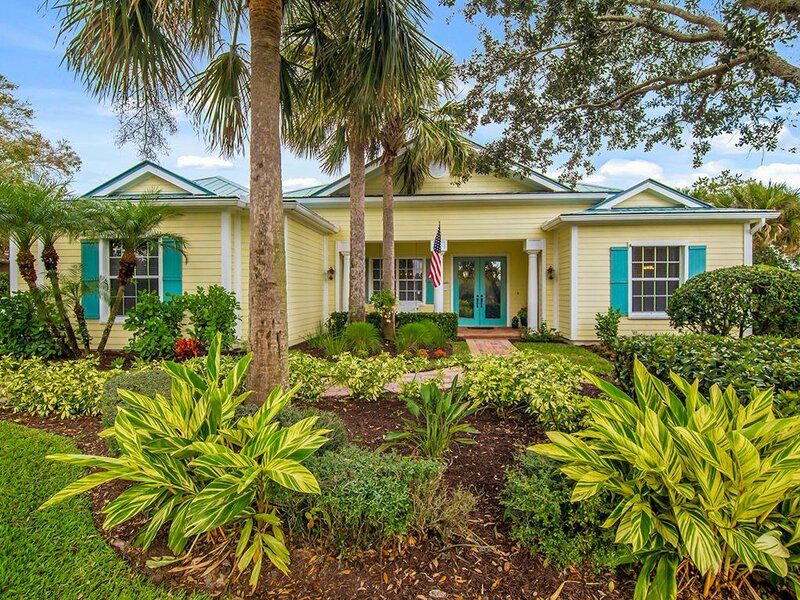 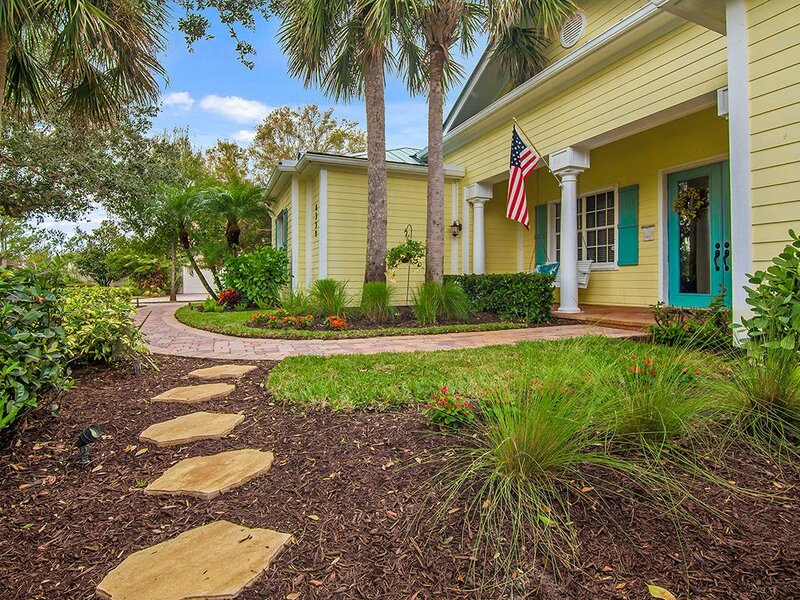 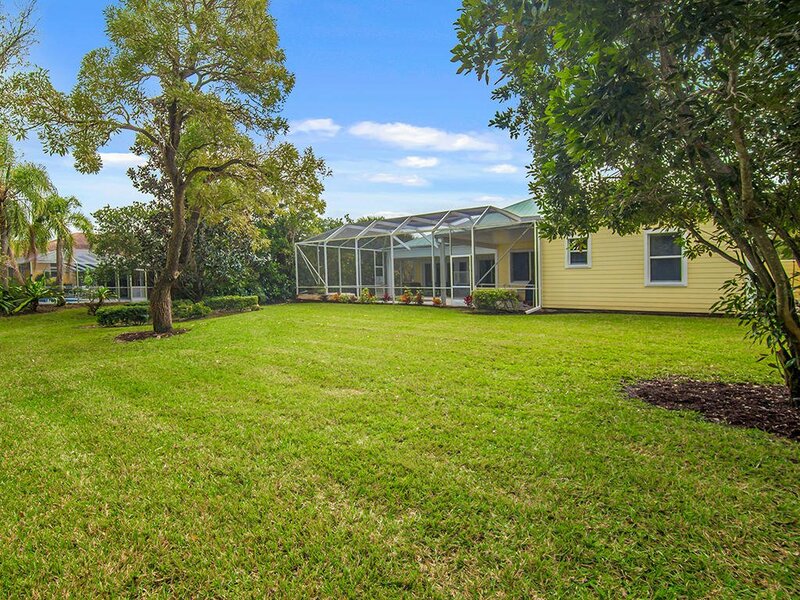 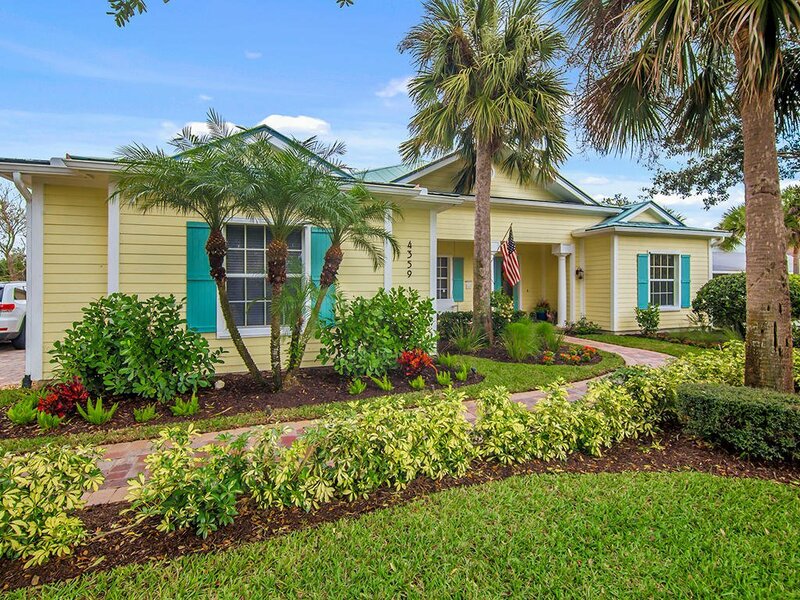 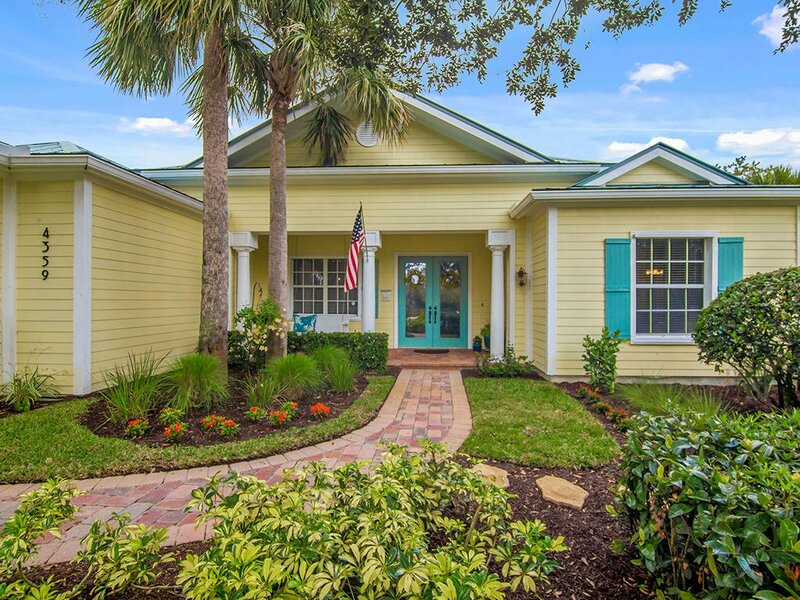 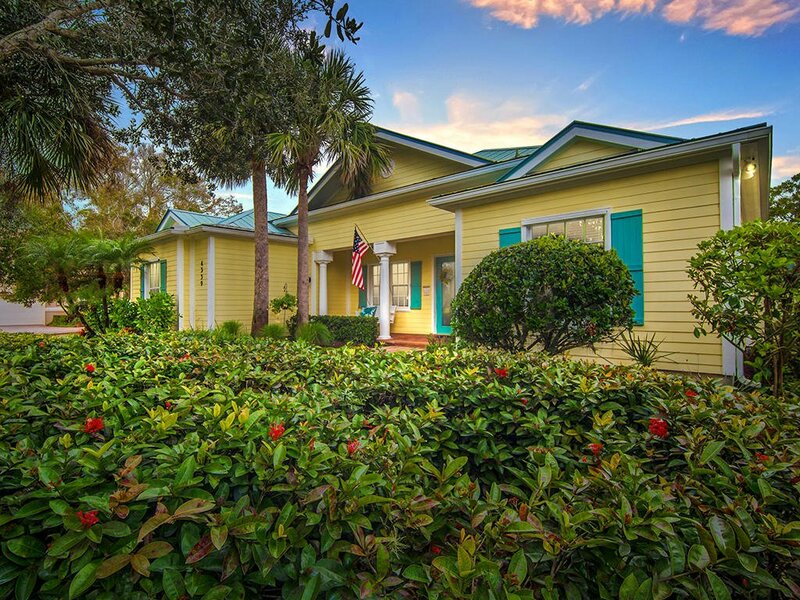 STUNNING Concrete Block Key West style triple-split plan home offers 4 BR, 3 BA, 2 CG, open living & dining, front covered porch, large side & back yard for family enjoyment on over one-half an acre of landscaped beauty. 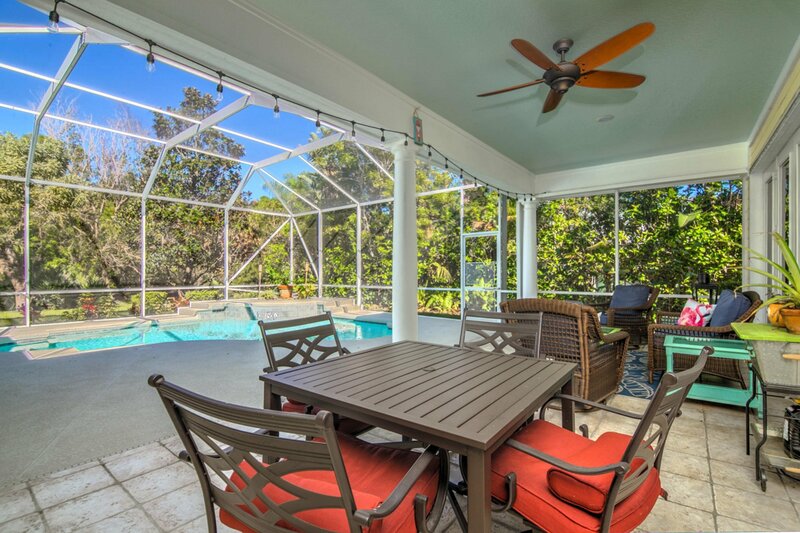 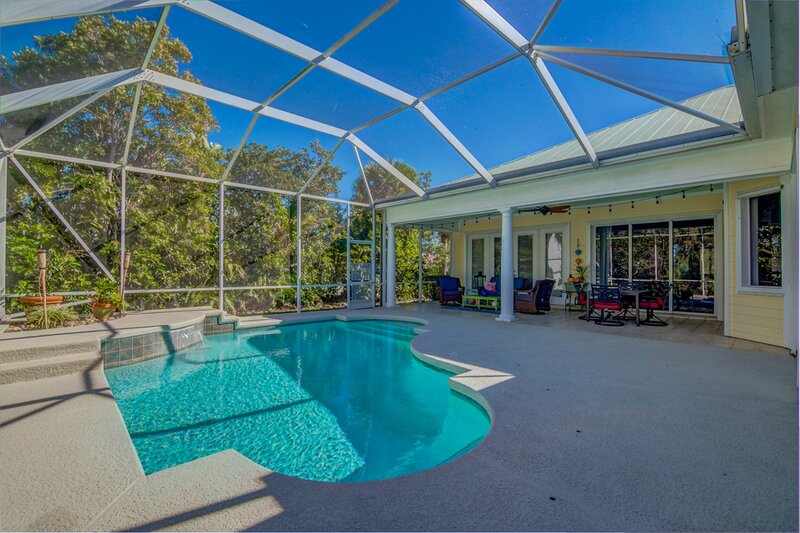 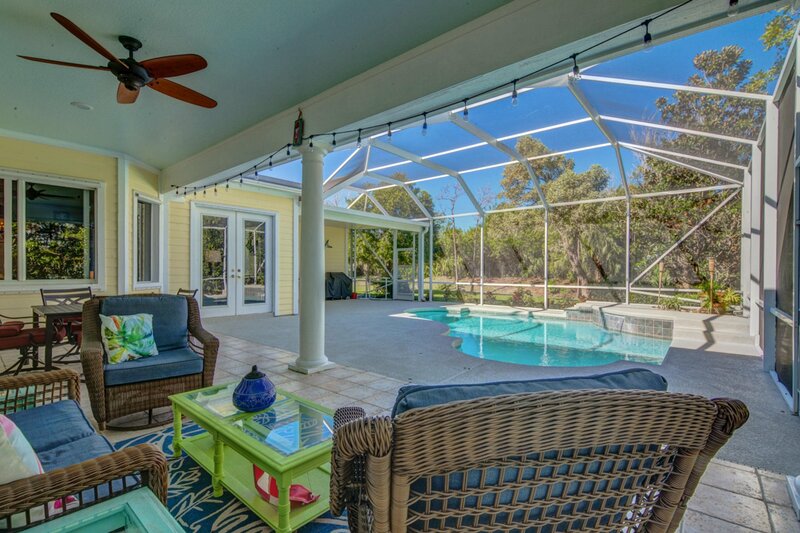 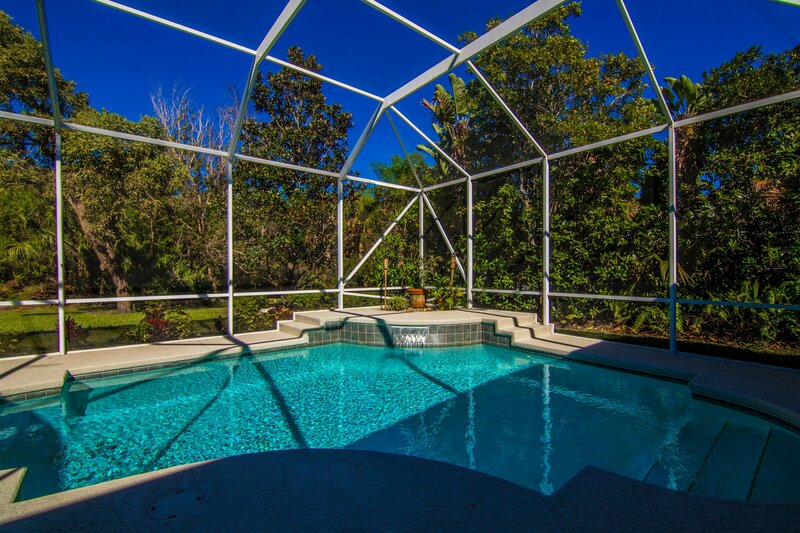 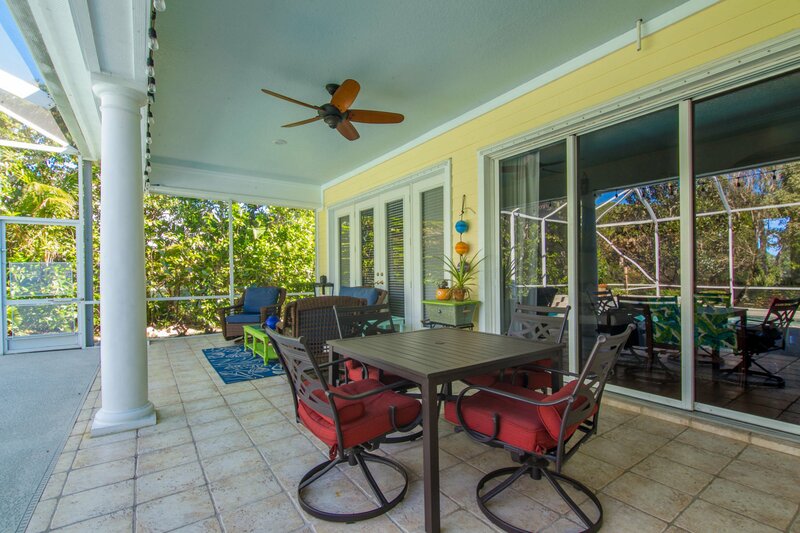 Your screened-in salt water pool & large patio is perfect for entertaining family & friends! 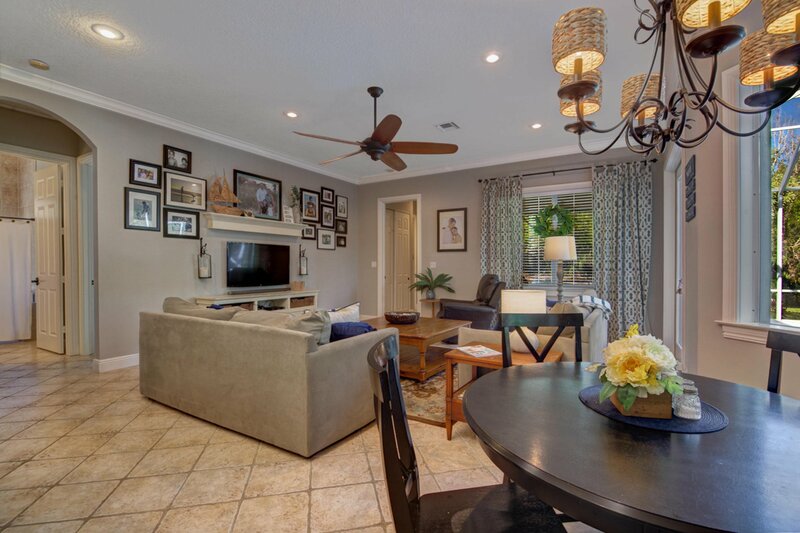 Spacious family room overlooks a spectacular kitchen with everything you ever desired! 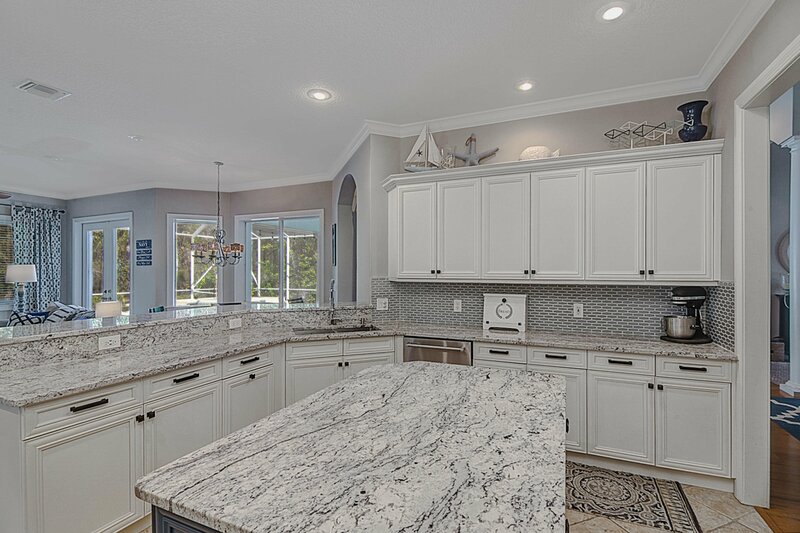 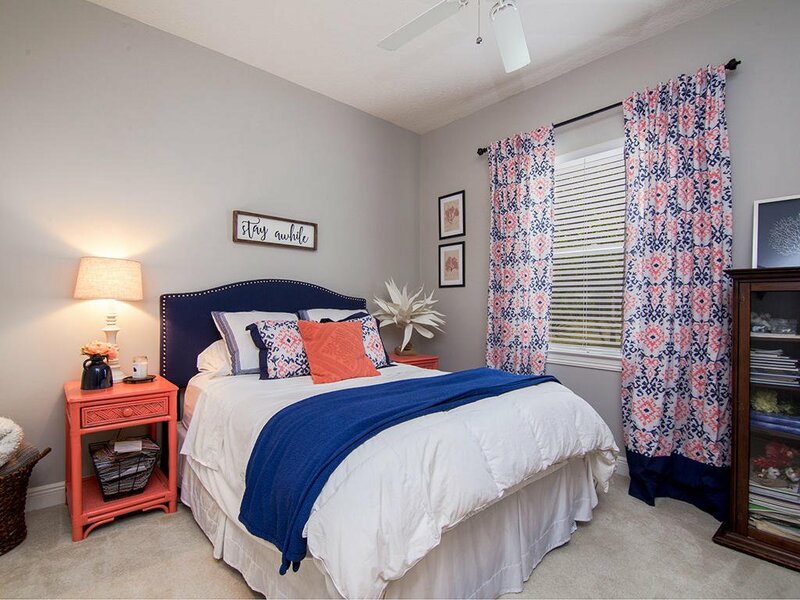 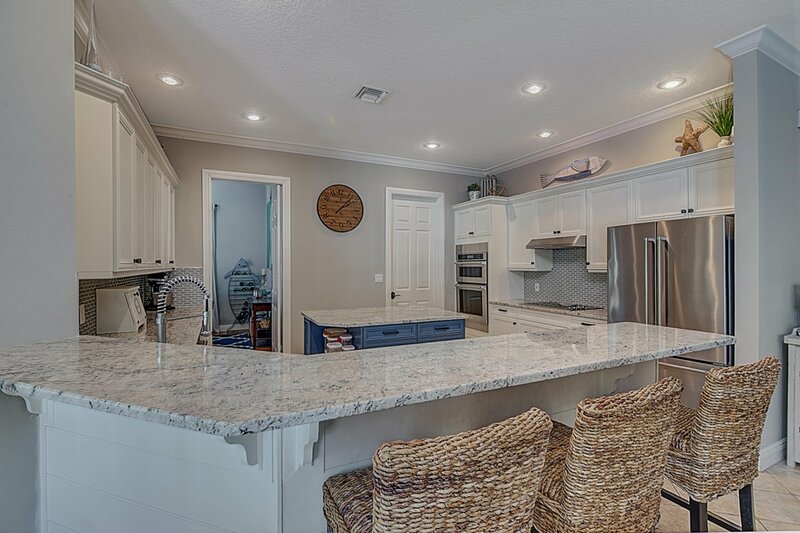 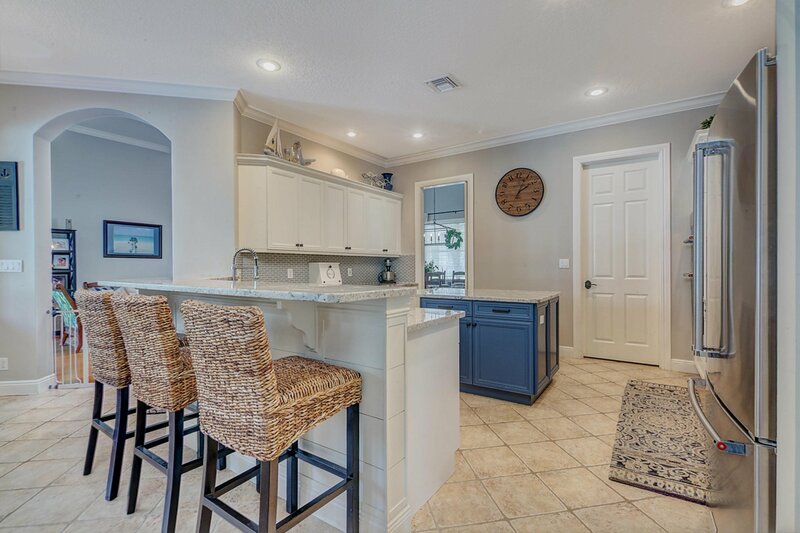 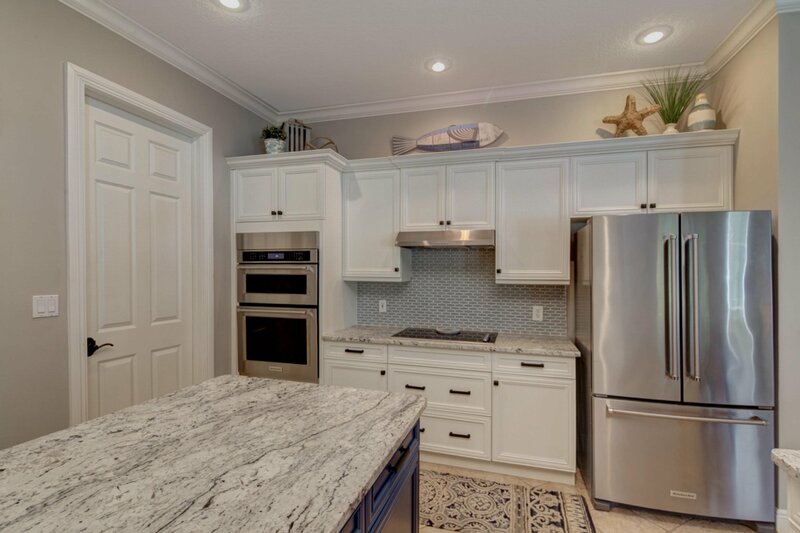 White wood cabinetry, large walk-in pantry, granite counter tops, large center-island; and the best in appliances w/KitchenAid stainless steel-all quite new! 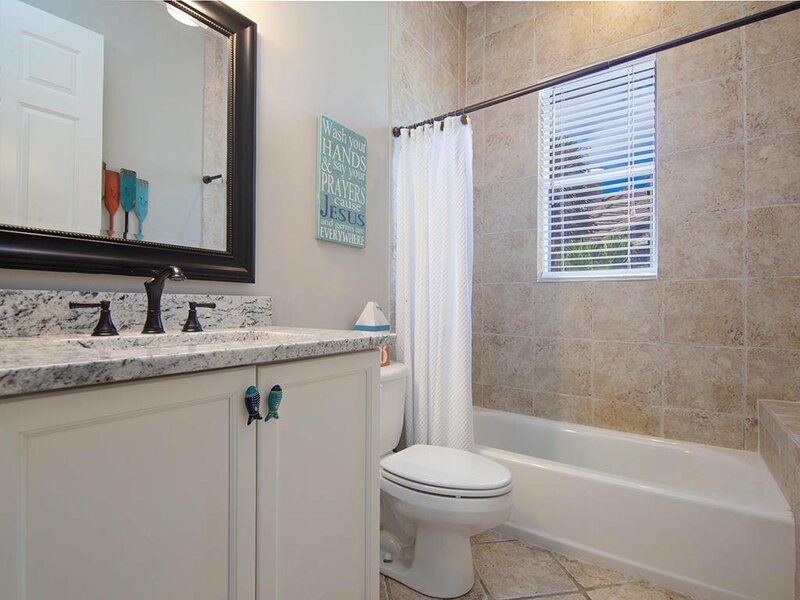 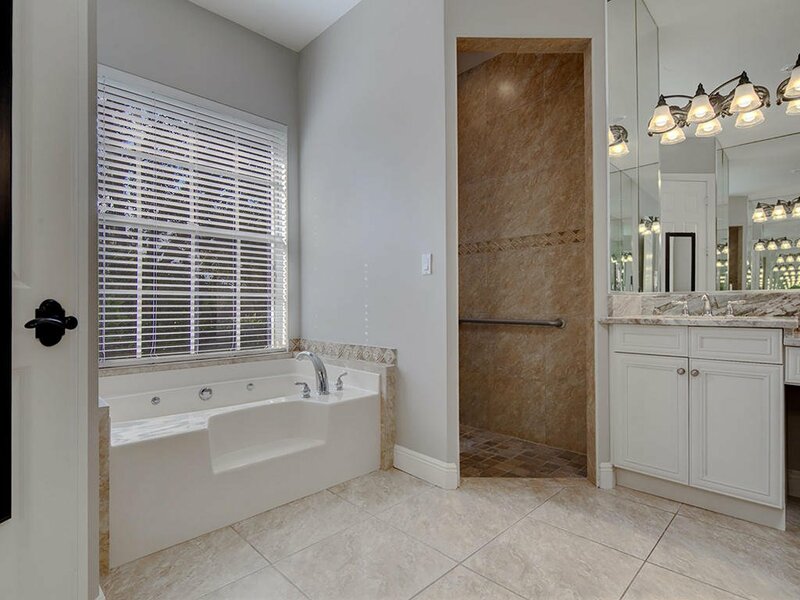 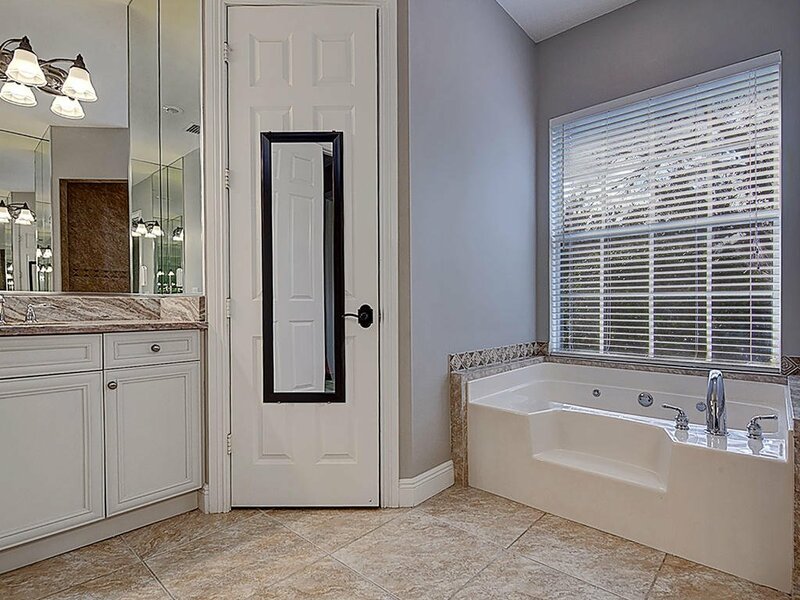 Large master ensuite w/updated granite vanities, separate large walk-in shower & jacuzzi tub. 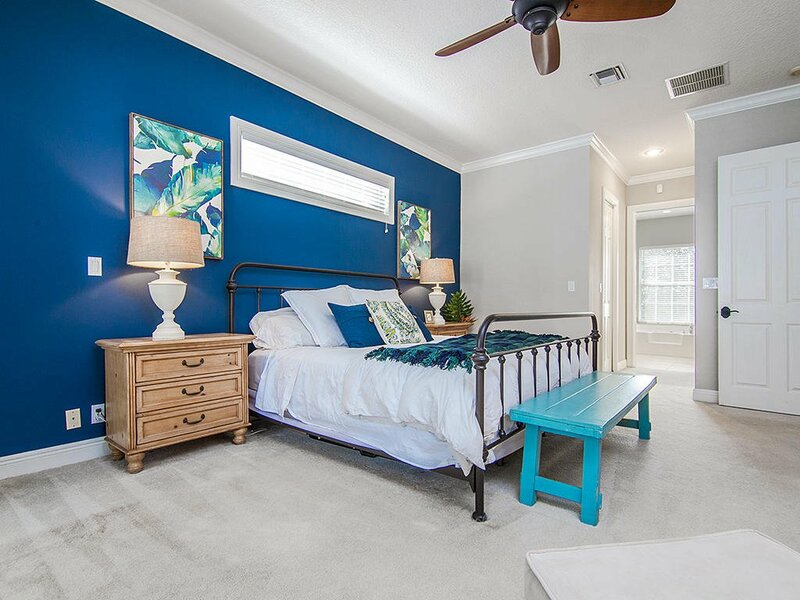 3 add'l ample sized bedrooms plus 2 updated baths. 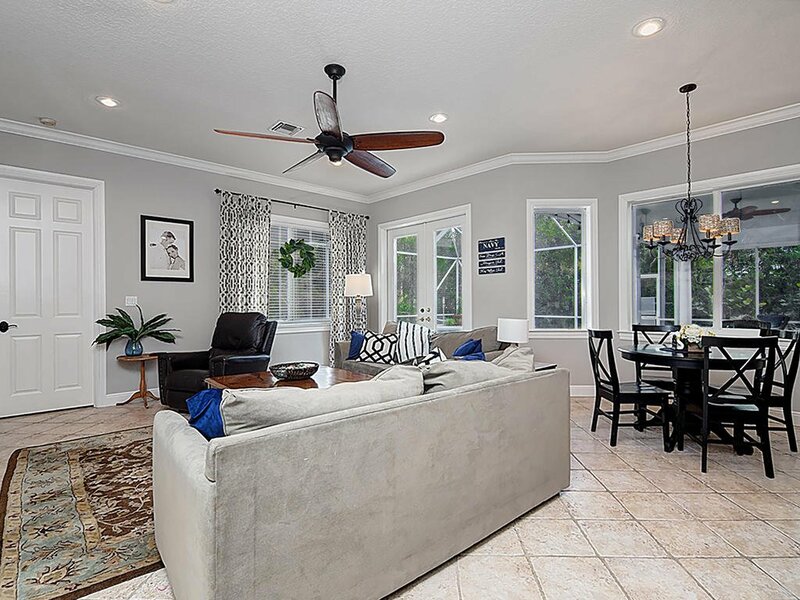 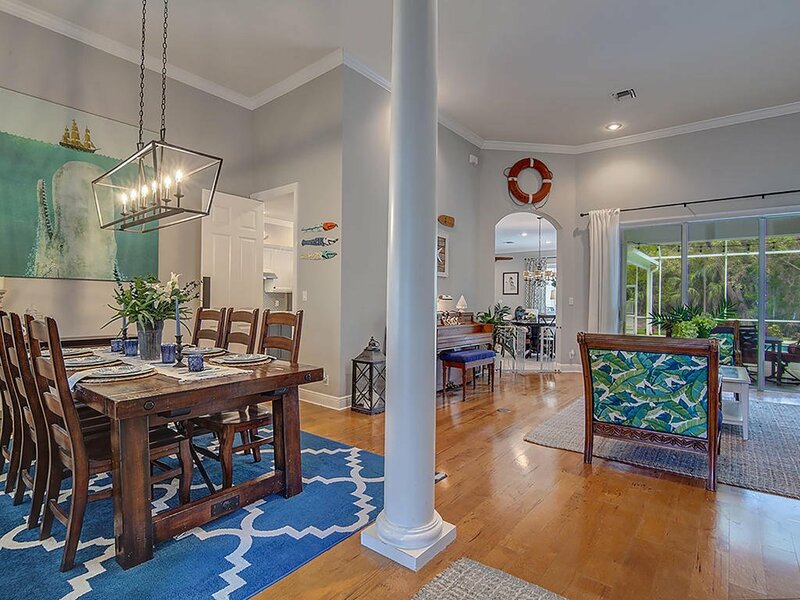 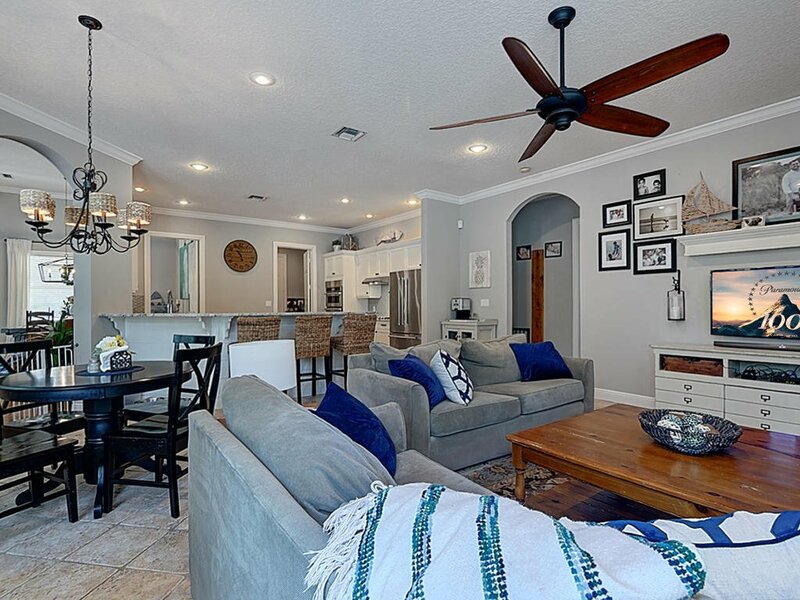 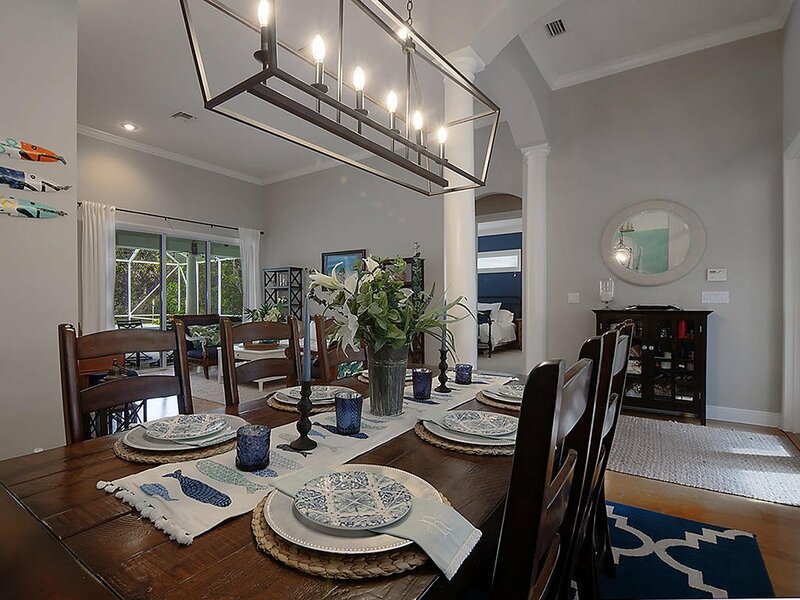 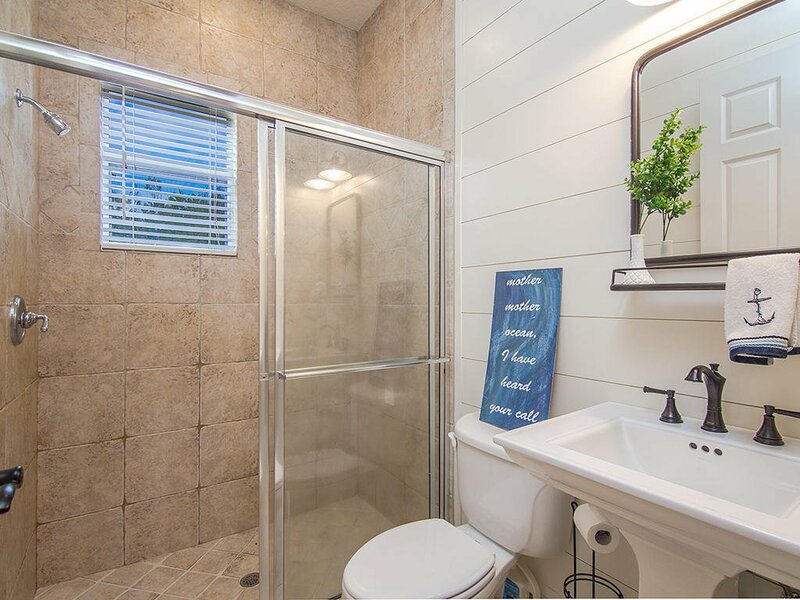 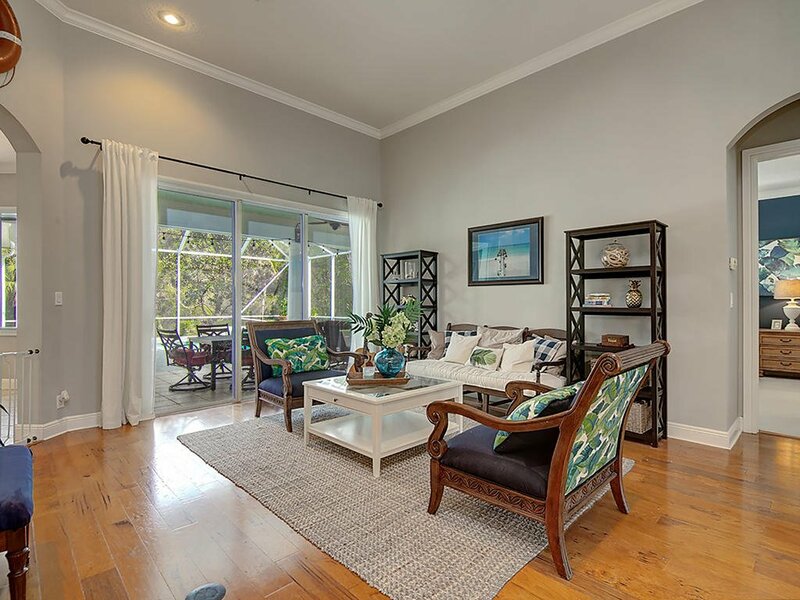 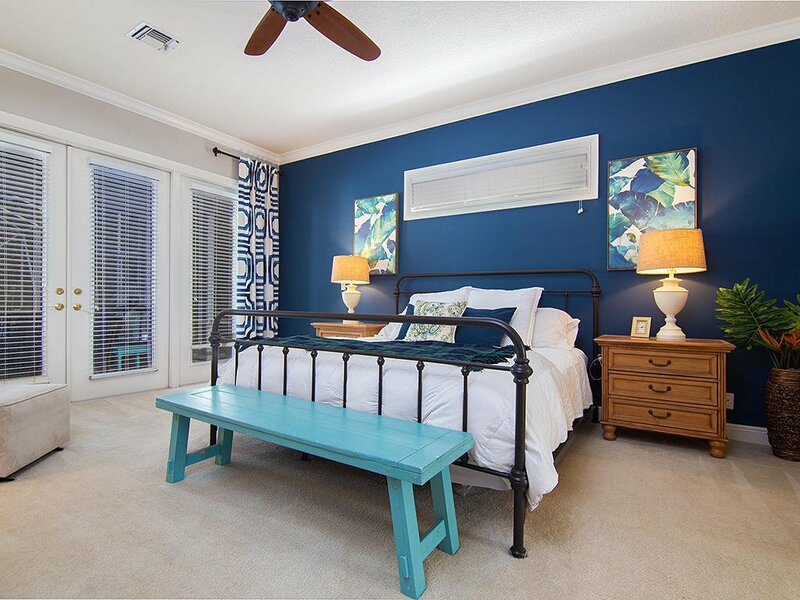 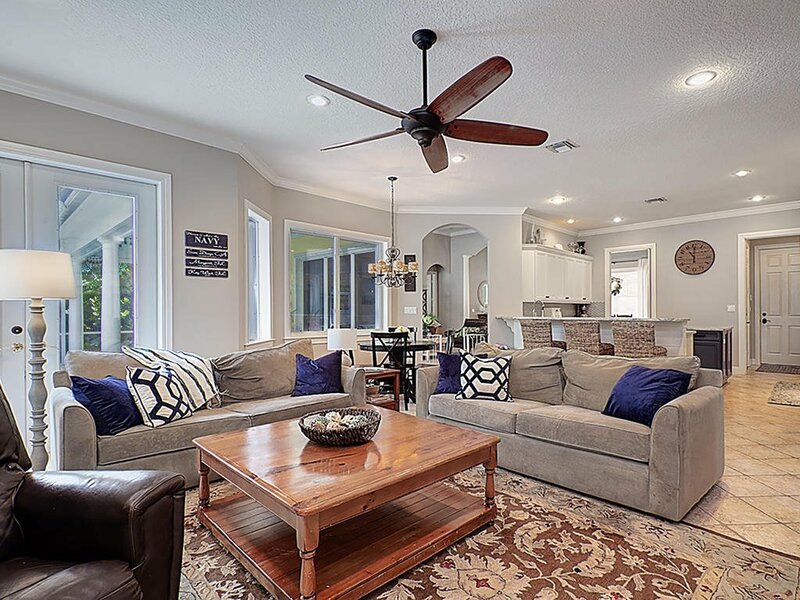 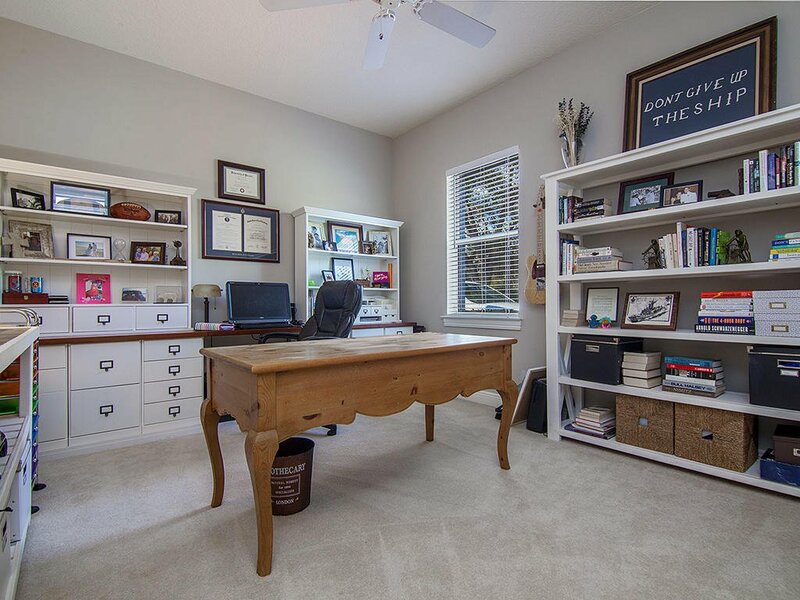 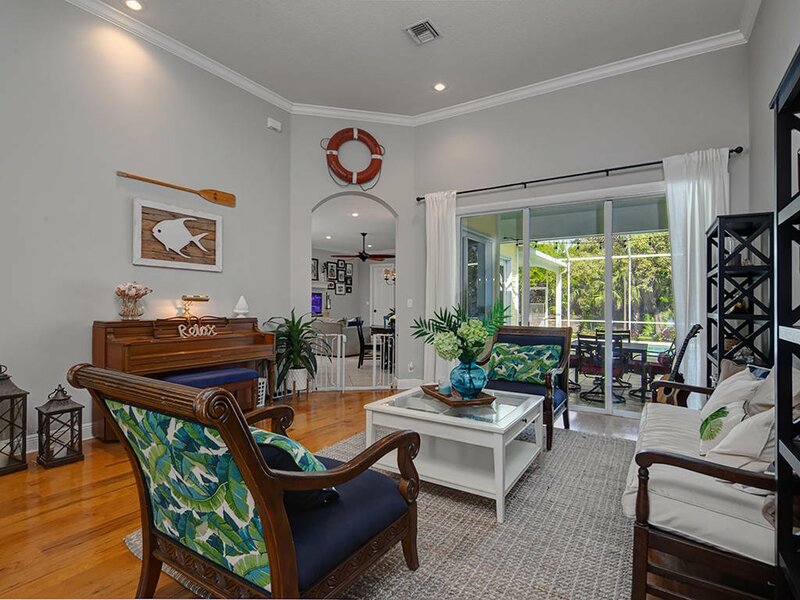 Freshly painted interior & exterior of home, crown molding, hardwood floors, & new lighting are are just a few of the added features in this impeccably maintained home with full hurricane protection for peace of mind. 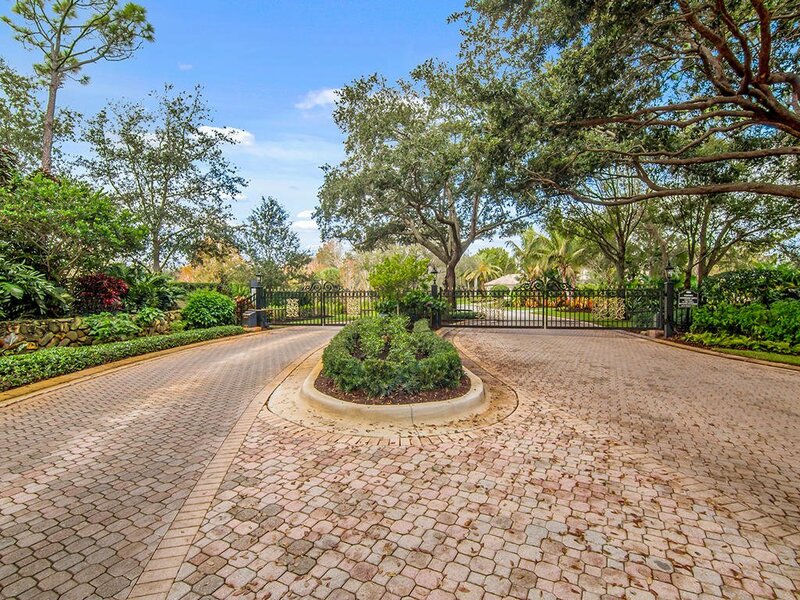 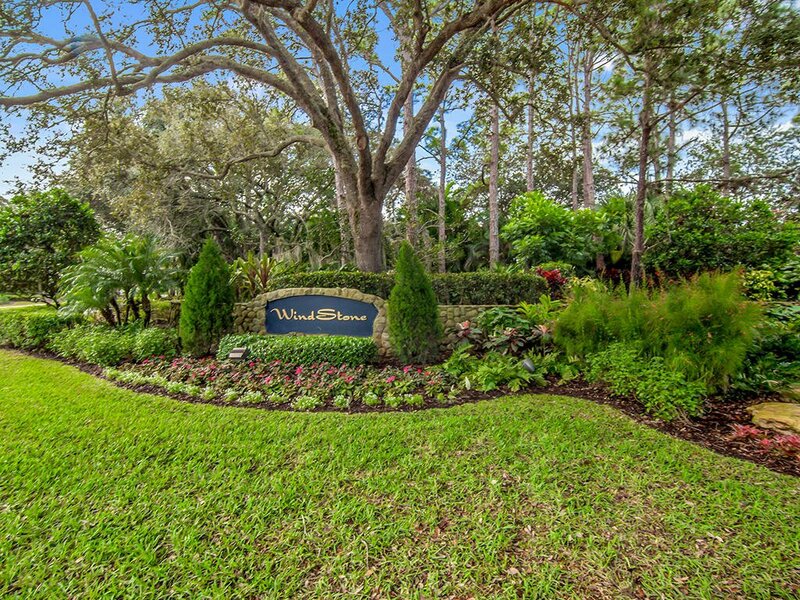 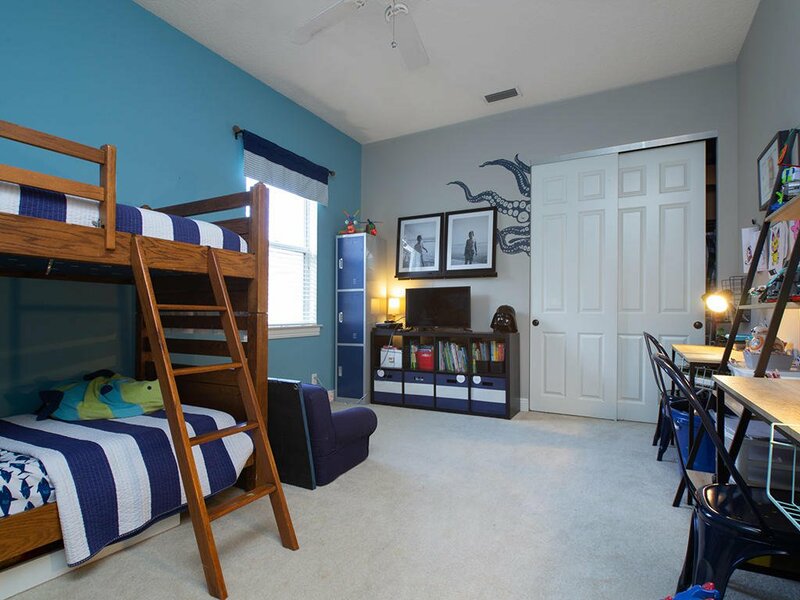 Low HOA, security gated community, plus Palm City "A" Rated schools.